What's that, its another Thursday? 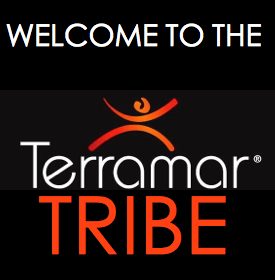 Well if its Thursday, then it must be time for #TerramarThursdays (Sierra Edition) where we here at EWH look at the best and brightest products from Terramar. In today's installment, I got to check out the Thermalwool sock for "sub zero" comfort. What could be more sub zero then taking these puppies out in the high Sierras for snow camping (which I recently detailed)? So how did these socks do? Well the conditions sadly weren't "sub zero" (more like 20-40 degrees) but these socks kept my feet warm at camp. I also wore them on a night hike and they held up well in my boots. 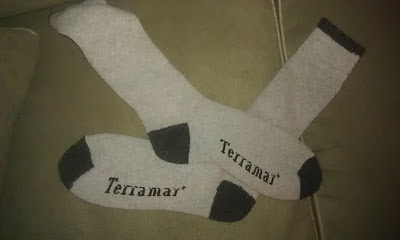 They are a slightly bulkier than other socks that I use to hike with but held up well on a mini-hike. The real value of the socks were in camp as my feet were toasty as clams in a soup (or some other metaphor). Often times you sacrifice comfort for bulk but not in this case, these are honestly some of the most comfortable socks that I own and are really great when you are sitting around the fire, waiting for the popcorn and/or s'mores to be passed.